IMM is a commercial building situated at 2 Jurong East Street 21 S609601, in district 22. It is the only suburban mall in Jurong East until the opening of JEM and Jcube. This huge 5-storey building has an estimated area of 944,575 sqft retail space. IMM is opened in 1991. IMM is owned by CapitaMall Trust and is managed by CapitaMall Asias which is a leading shopping malls developer in Asia. IMM has a unique structure as it not only has retail units, it also has office and warehouses space spread over the 5 levels. There is an estimated of 600 companies right here in IMM. It is also a one stop mall for furniture, furnishings, renovation and interior design needs. There are also more than 46 dining options here for visitors to choose from. Major tenants here include Giant Hypermarket, Daiso and Best Denki. 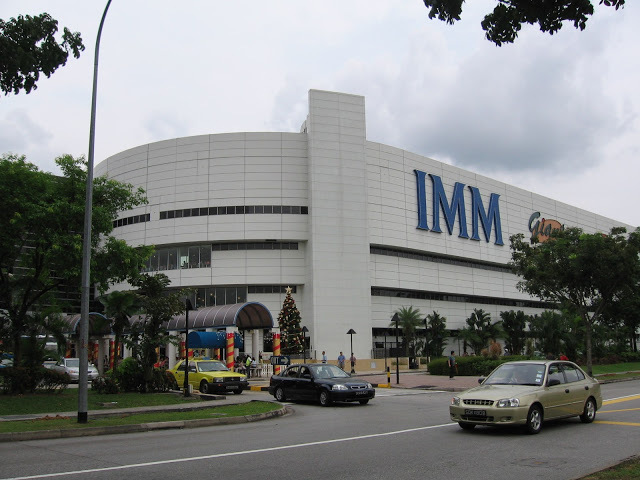 IMM is also the home of major factory outlet stores where shoppers can get cheaper deals. The outlet stores include Adidas, City Chain, Espirit, Fox kids and baby, Geox, Samsonite, Timberland and many more. There are also dry and wet children playgrounds at level 3. IMM customer service is located at level 2. The operating hours is from 10 am to 930 pm to aid customers. The contact number is 6665 8268 or you can email [email protected]. The car park is free for first 3 hours. There are about 1300 lots here. IMM is within walking distance to Jurong East Mrt station and Jurong East interchange. Other nearby MRT stations are Clementi and Chinese Garden stations. There are also several bus services available at the bus interchange. For vehicle owners, you should exit 27 on PIE and Exit 11 on AYE. If you are driving from here to the Central Business District will take you about 15-20 minutes. Major expressways such as AYE and PIE allow drivers easy access to any part of Singapore.